We are delighted to announce that Happy Body At Work (HBAW) has been recognised at two industry award events this year. Our heartfelt thanks and congratulations go to our valued partners in these award initiatives, Optus and Lendlease. In our quest for scalable, data driven wellbeing content that also delivered a delightful, engaging experience for employees, the ABC Digital team spent much of 2016 adding to our growing suite of solutions. The Happy People app based program made its debut in September, rolling out to over 1100 Optus Retail staff nationwide. The results exceeded our wildest expectations. Six months ongoing access to the app, esp the daily personal quiz helps to ensure that habit change is sustained over the longer term. In the aftermath of a large scale restructure, global healthcare company Fresenius Kabi Australia consulted our team about which of our programs could best assist their strategy to transition to a more agile environment. PwC Anna-Louise wrote and presented a bespoke series of video vignettes for PwC's Be Well initiative to support their transition to agile working. Newscorp Anna-Louise was invited to present at Newscorp's wellbeing day with the keynote “Surviving and Thriving in High Paced Environments”. Swiss Re have recently moved to Barangaroo into a new agile workspace and Anna-Louise was asked to speak as part of their Mental Health Month Strategy. 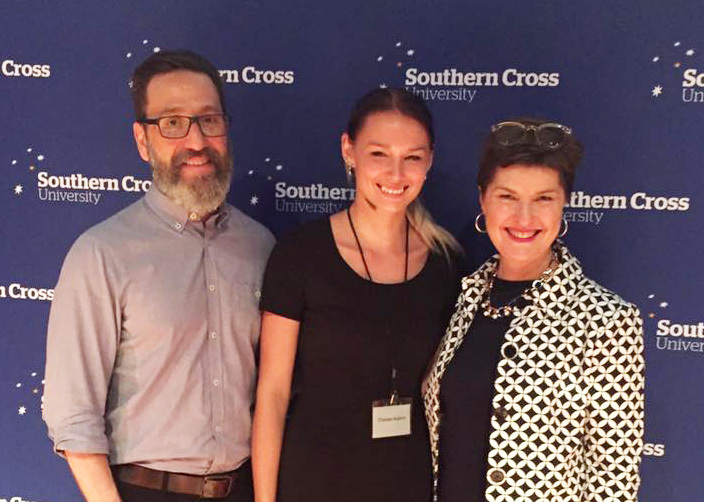 Southern Cross University Wellbeing for Youth Forum was organized to look at strategies for supporting mental wellness in youth. Over 300 teachers, doctors, youth care workers, social workers and health professionals attended. World Physiotherapy Day HBAW Wellbeing Consultant, Sharon Richens, was invited to speak to over 100 physiotherapists about how they can stay happy and healthy at work. ANZ HBAW Wellbeing Consultant, Troy Morgan, has been working closely with the ANZ Global Markets team to roll out the Happy Body program. The results and engagement have been testament to the incredible commitment from their management team to support this initiative. We invited a select group of people from companies such as Westpac, BT, Zurich, AON Hewitt, Bupa and NSW Police to an exclusive boardroom breakfast at the ABC to launch our Happy People digital wellbeing program. This intimate forum was so successful that we have decided to run a series boardroom breakfast networking events in 2017.